As we embark on 2016, preservationists all over America are celebrating both the promise of a new year and an important milestone for our work: the 50th anniversary of the National Historic Preservation Act, which officially enshrined into federal law the values, tools, and benefits of saving places. At our recent national conference in Washington, D.C., we kicked off what will be a year-long celebration to recognize five decades of impressive accomplishments in our field, and to lay the foundation for the future preservation of cultural resources in our country. During a time of profound transformation, we have helped communities to manage change, to preserve the history that makes us who we are, and to protect the special places that reflect our values and connections to one another. Today, we are no longer lonely voices in the wilderness. Our field, as author Stewart Brand wrote, has achieved “a quiet, populist, conservative, victorious revolution.” Historic preservation is now correctly seen as a powerful tool for spurring economic growth, promoting health and well-being, and advancing vibrant, sustainable communities. And we are branching out in exciting new directions. As America’s cities experience a nationwide renaissance, we are engaging new partners to bring reservation solutions to the problems of the 21st century, including affordable housing, community displacement, energy efficiency, and climate change. As America grows ever more diverse, we have evolved to embrace a richer and fuller national narrative, one that recognizes the complex and difficult chapters that make us who we are and works with all communities to tell our American story. As a field, we are moving beyond the important work of protecting individual buildings and monuments to also focus on neighborhoods, landscapes, culture, and the irreplaceable historic fabric of our nation. We are adopting new tools, gaining new allies, exploring new approaches, considering new problems—and getting better at the richly rewarding work of saving places that matter. In that spirit, we are making a New Year’s resolution to keep growing and innovating. To help more good preservation projects find the resources they need. And to rekindle our grassroots energy while engaging Americans in our work as never before. Because the next 50 years of preservation are under way, and we are off to a running start. 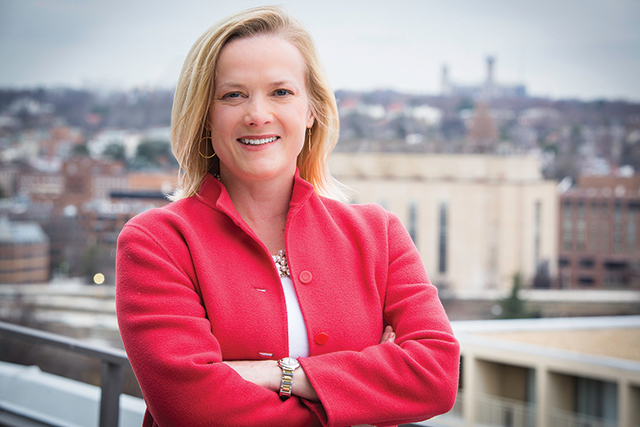 Stephanie K. Meeks was the president and CEO of the National Trust for Historic Preservation from 2010-2018. She is the author of "The Past and Future City."